The European Interdisciplinary Society for clinical and sports applications ( EIScsa) was established as the European Isokinetic Society (EIS) on November the 20th of 1998 in Essen, Germany. Only after many years, and with a great deal of effort by a group of specialists from all over Europe, the foundation of the EIS became a fact. The primary goal of this society was to form a structured body to promote measurements, therapy and training as treatment specialties, for assessments, rehabilitation and strengthening of human body structures. In addition, the society aims to establish useful measurement systems (i.e. isokinetics, EMG, force plates, video movement analysis) as specific tools for rehabilitation doctors, physiotherapists, orthopaedic surgeons, sports medicine doctors, traumatologists, rheumatologists, bio-mechanical engineers, sports-scientists, athletic coaches etc. Many experts out of different professions joined the EIS. Moreover, the inclusion of further equipment philosophies and technical progress in quality control made it necessary to open the society to different disciplines. So finally, after an almost 5 years period as 'isokinetic society', the society decided to change its name. New casino brands can be found on this site. 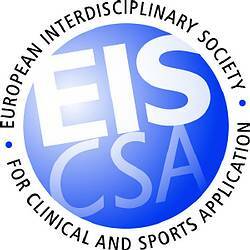 In July 2002, EIS was renamed to European Interdisciplinary Society for clinical and sports applications, short EIScsa.